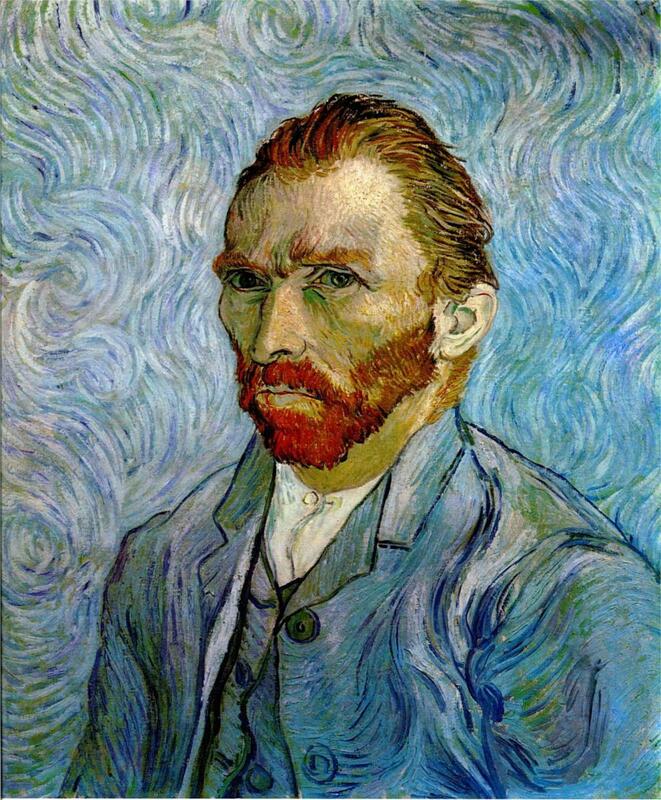 One of several self-portraits van Gogh painted in Provence. 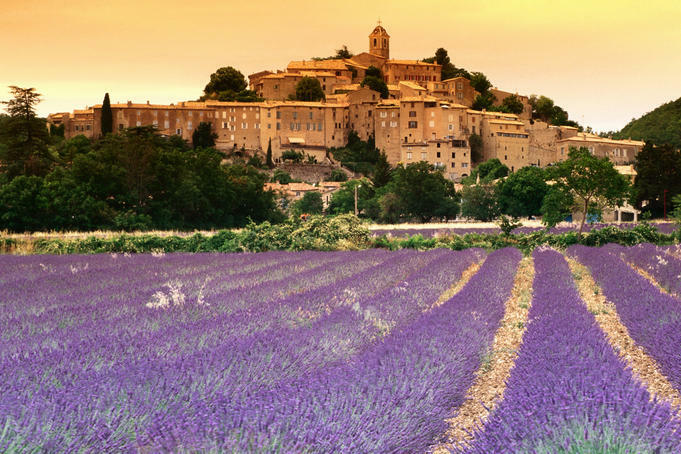 The Bliss Travels trip to Provence is coming up soon, and it is one of our favorites. The untamed, easy beauty of the region is like no other in the world. Something about the rolling lavender fields, the ancient stone villages, and the smell of pure sunshine just diminishes your worries and makes your stresses seem silly. It really is no wonder that Vincent van Gogh escaped here from the hustle and bustle of life in Paris. In February 1888, the painter moved to Arles, one of the larger towns in the area, to work on his fragile health and to rid himself of the ever-increasing modernity in the cities—the same reason his friend and fellow painter Gauguin left. For a while it even soothed his artistic needs—he had been surrounded by too much gray in the city for an artist whose very essence relied on vivid colors, used with the utmost intention. 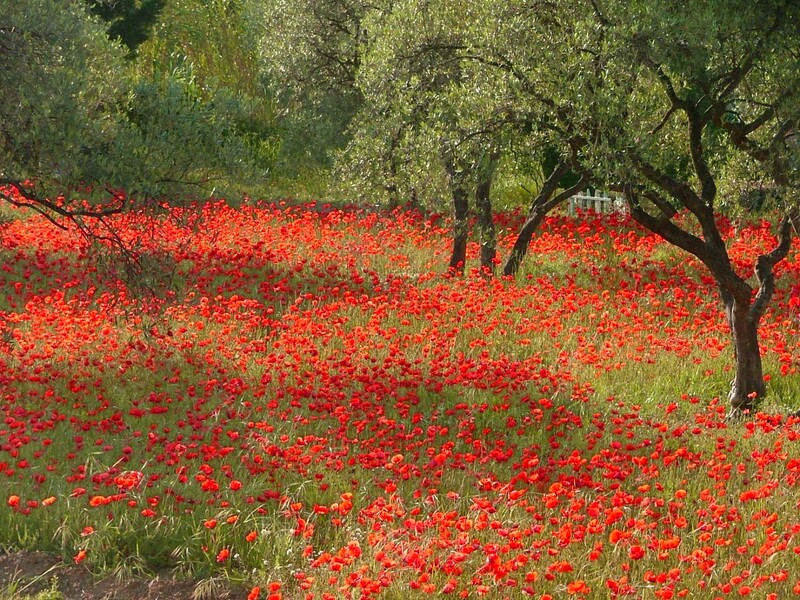 In Provence, the colors he saw in his head were reflected by nature. It was during this time that van Gogh’s inspiration struck. In 15 months, he created over 300 paintings in his “Yellow House” and the sanatorium he lived in after suffering a mental breakdown (culminating with a fight with fellow artist Gauguin and the infamous lop of his ear). This sanatorium can actually still be visited, as Bliss does regularly, and maintains a lovely flower garden similar to the one van Gogh took flowers from to paint. “The Evening Cafe” looks the same today! 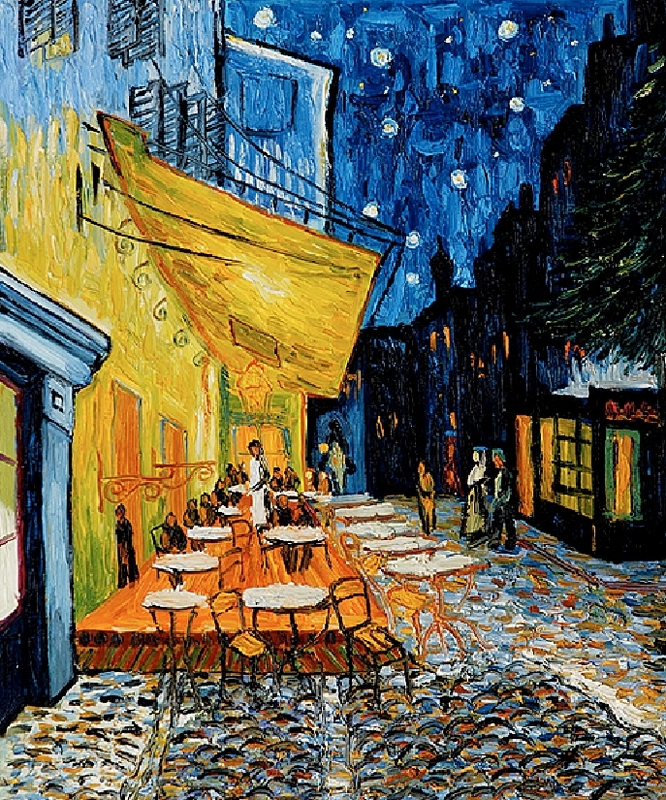 For even more incredible examples of van Gogh’s work, click here. It is incredible to think of all that was accomplished for art in such a sleepy town (that Bliss is lucky enough to visit each summer.) Not much has changed since van Gogh’s time there—Arles is still built around stunning Roman ruins, filled with markets and friendly folk, homemade olive oil and soap shops, warm terracotta roofs and lavender wooden shutters, and a deep, innate respect for the beauty of the land itself. One of the most popular parts of Bliss’ French tours are our picnics out in olive tree orchards. The cicadas chirp lazily—a sound the region is never without—as we snack on typical Provencal food like figs, fresh fruit, and baguettes with locally made goat cheeses and tapenade. Sitting in the dappled sunlight, everything feels easy and utterly timeless, as if van Gogh is just beyond the trees, bringing us a tarte Tatin from his favorite bakery. Provence has an ageless beauty that connects old and new seamlessly. One would hope that van Gogh had found as much inner peace in Provence as he did artistic inspiration. Though sadly that wasn’t the case, we do know that he was in awe of the vivacity of the region. Now it is our turn to love it as much as he did! Come with us to experience his life in a completely unique way. This entry was posted in arles, art, food, france, france travel, french travel, impressionism, impressionist art, provence, summer vacation, Tour, Tour France, travel, trips to france, vacations, vacations in france, van Gogh and tagged Arles, france, impressionism, impressionist art, provence, Tour France, travel, van Gogh. Wow, it looks like a magical place! 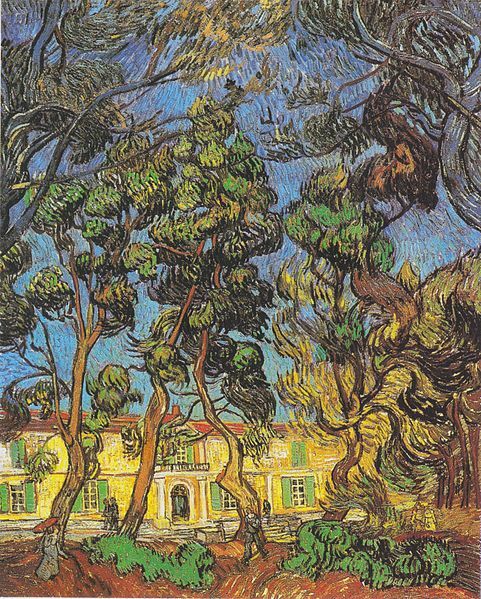 Wish I could visit Vincent van Gogh’s Provence someday… Thanks for sharing! Happy to! On its own, the region is just stunning. When seen in the way he would have, Provence becomes even more gorgeous–you just need to know where and how to look!